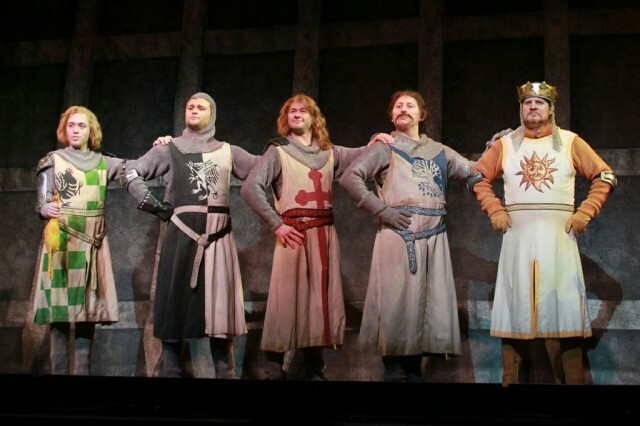 (L to R) Kasidy Devlin (Sir Robin), Adam Grabau (Sir Lancelot), Joshua Taylor Hamilton (Sir Dennis Galahad), Thomas DeMarcus (Sir Bedevere), and Arthur Rowan (King Arthur). Photo credit: Courtesy of Monty Python’s Spamalot. It never hurts your anticipation to wait in a humming crowd behind closed theater doors on opening night. Ah, the sheer grandeur of a stage that hosted the world premieres of Showboat, of West Side Story. “What more could you ask for, really?” I thought as I took my seat at the National Theatre. There’s nothing that gives me chills like the opening melodies of One Day More. It’s one of my favorite ensemble numbers and it will always stop me in my tracks whether it’s in a feature film trailer or if it’s being done by an Asian YouTuber who sings all nine parts. 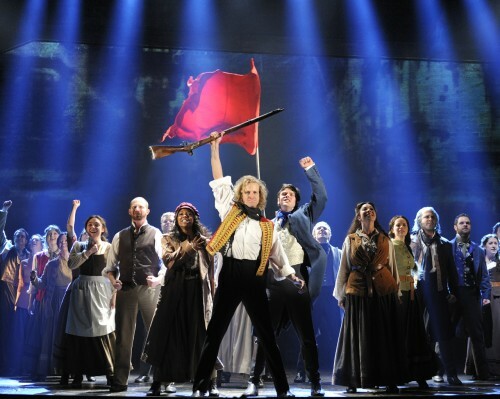 It is only one of many memorable numbers in the musical adaptation of Victor Hugo’s novel Les Misérables. 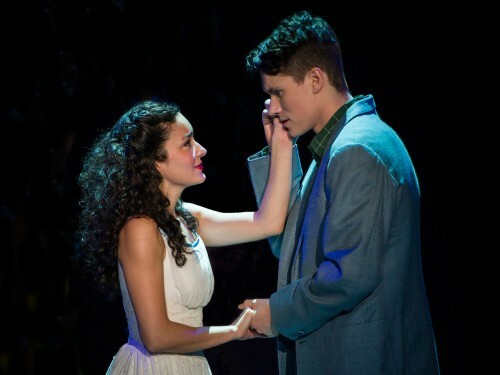 After over 25 years in production (the longest running musical in the world) the show continues to be a hit. 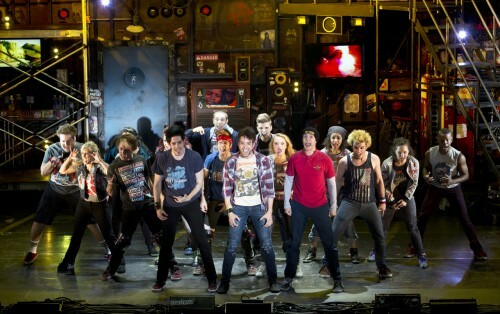 Now on its fourth U.S. tour the show has grossed as much as a $1 million a week. Arriving at the National Theatre for its 10th time in The District since 1986, the all new production features new staging and sets inspired by the paintings of Hugo. However all the songs you’ve come to know and love are the same. 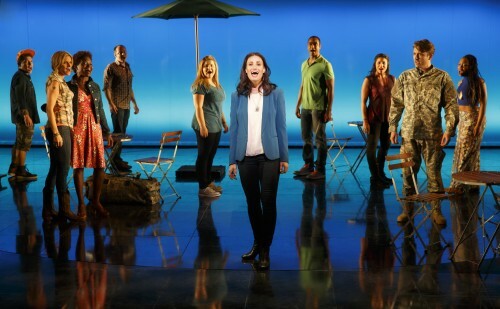 I Dreamed A Dream, On My Own, Do You Hear the People Sing?, and the previously mentioned One Day More can be found in a powerful and vibrant show that continues to wow audiences after a quarter century on the stage. A show has pretty high expectations when it is production of a show that was nominated for nine Tony awards back in 1994. The bar is even higher when that show was based on a wildly successfully animated feature that was nominated for a Best Picture Oscar. 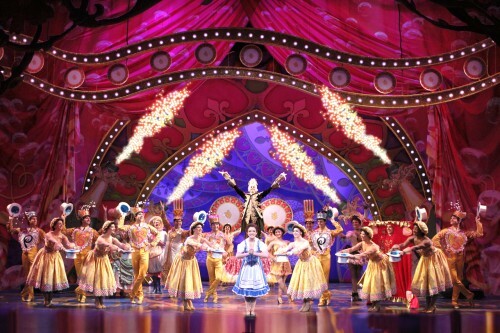 Here for a two week stint at the National Theatre, a new national tour of the Broadway musical version of Disney’s Beauty and the Beast arrives just in time to entertain families and kids jumping into their summer break from school. What is the best way to teach the daily struggles of family life and change to a modern generation: physical comedy or unadulterated sincerity? Harvey Fierstein’s Tevye does both. On the other hand … he has some competition what with the starlet vocals of his three daughters in-production. On the other hand … he’s Harvey Fierstein, part of the reason this run of Fiddler on the Roof at the National Theatre has been so successful.